Today we have our final guest post of the summer series! 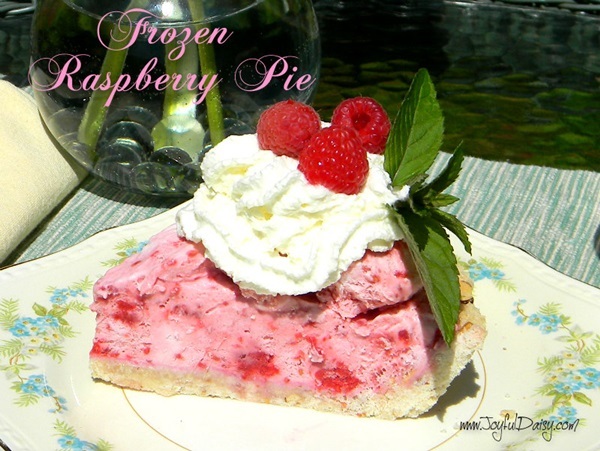 Today’s comes from Amy at Joyful Daisy and she is sharing a delicious looking Frozen Raspberry Pie. I don’t know about you, but I love pie any time of year, and this recipe certainly sounds like a dessert for all seasons!